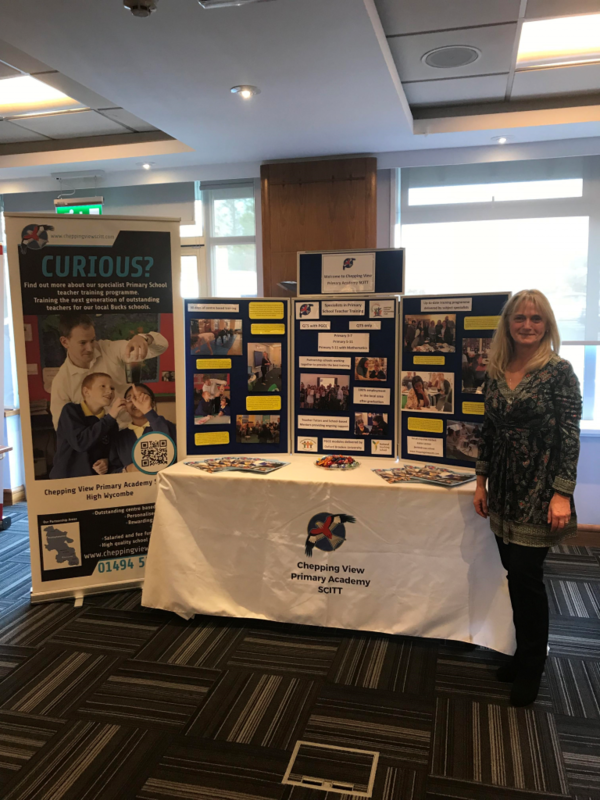 The Chepping View Primary Academy SCITT team enjoyed meeting potential teachers of the future at the ‘Get into Teaching’ event held at the Holiday Inn in High Wycombe on Saturday. Those interested in a career in teaching were able to talk to local providers in the Buckinghamshire area and ask questions about the world of education, the courses available, training opportunities and the application process. It was great to see such a large interest and to talk to potential applicants about their desire to become primary school teachers and what we offer at Chepping View SCITT. Click here to find out more about our teacher training programmes. Here is our SCITT Leader and Programme Manager, Debrah Maddox managing the Chepping View SCITT stand. If you are interested in becoming a primary school teacher, please contact us to find out more about the training programmes we offer.